Are missing teeth negatively affecting your self-image? If yes, we can help thanks to dental implants. These synthetic tooth roots are made of a titanium screw and a post that is covered with a fixed restoration such as a bridge, crown or denture. Natural-looking and strong, an implant is secured into the bone adjacent to your other teeth. After several months, the implant attaches to the bone, so it looks and performs like a natural tooth. We use both the ADIN and Straumann dental implant systems. What Are Some Benefits of Implants? Getting an implant involves two steps — a surgical phase and a prosthetic stage. During the surgical phase, we place the implant into the jawbone and perform any necessary bone grafting. The second stage — the prosthetic phase — includes fabricating the crown to be placed onto the implant. This step takes place after the implant has joined with the jawbone — a period of about three months. At First Dental Studio, all our dentists are proficient in performing the prosthetic stage of the process. Often, a patient comes to us with an implant that requires a crown restoration. Now, we can perform both phases of implant treatment. This ability to handle the implant process from start to finish in one location is convenient for patients and more affordable than having a specialist perform the treatment. When it comes to complex cases, however, a specialist is employed to carry out the surgery. If you’d like to find out if you’re an ideal candidate for dental implants, contact us today to schedule an appointment. 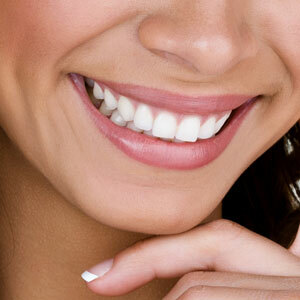 We look forward to helping you smile with confidence!